The before and after’s on this Malm Ikea hack are insane. 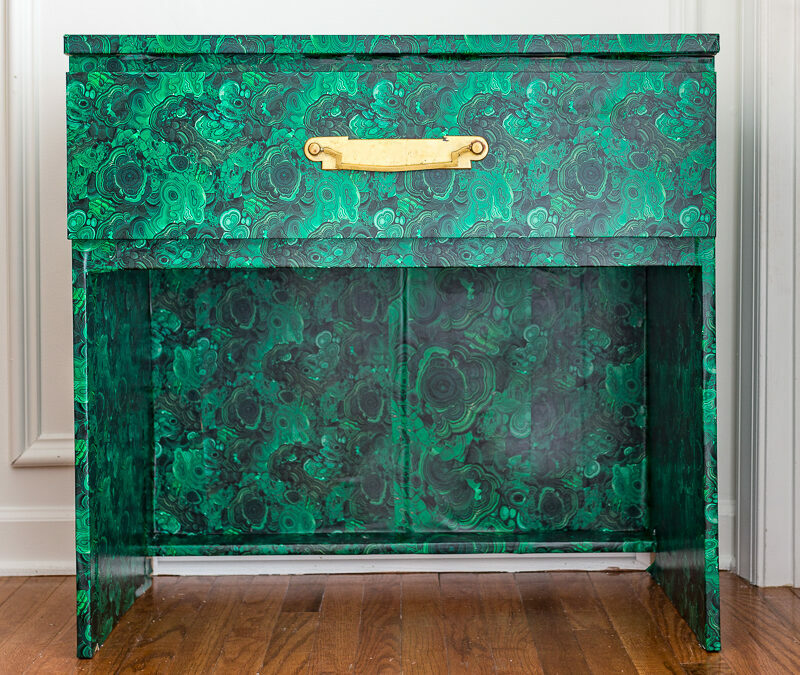 Check out how I used Spoonflower wallpaper to do this easy DIY Malachite table makeover. I can’t believe our new entryway! It’s just too pretty for words. 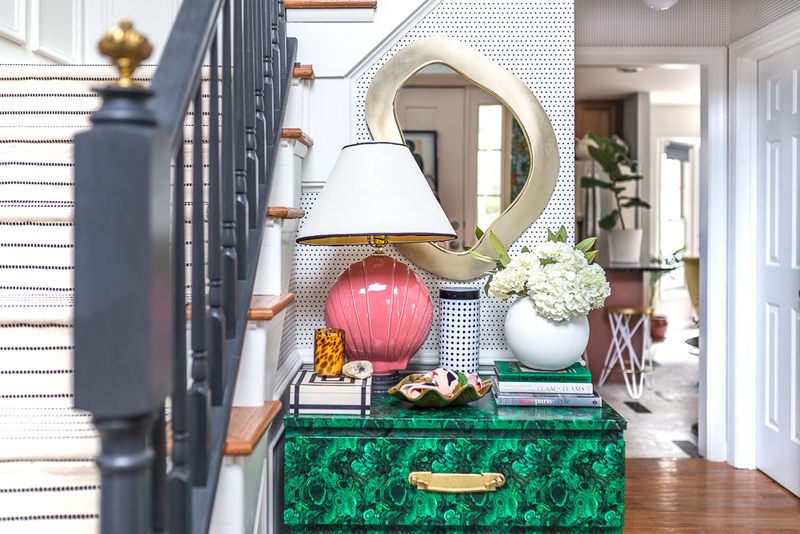 Check out how we updated our dated 1990’s foyer and added both timelss and maximalist elements. 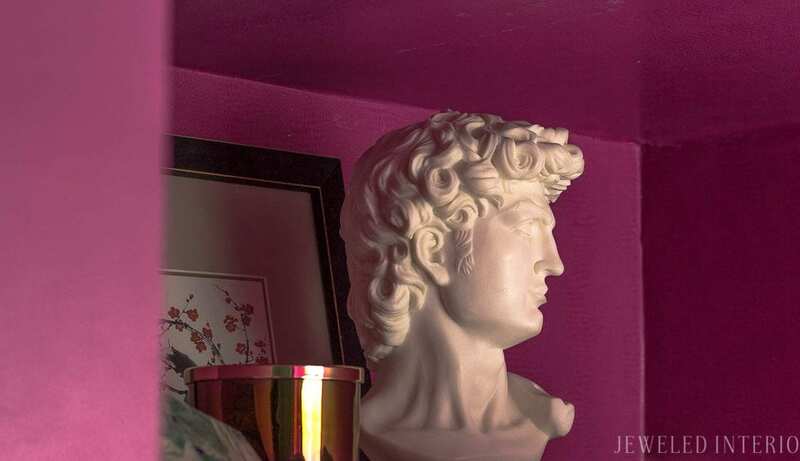 Alls well that ends well, but learn from our crown moulding mistakes to save yourself stress and time. Never seen a piano bench like this before? 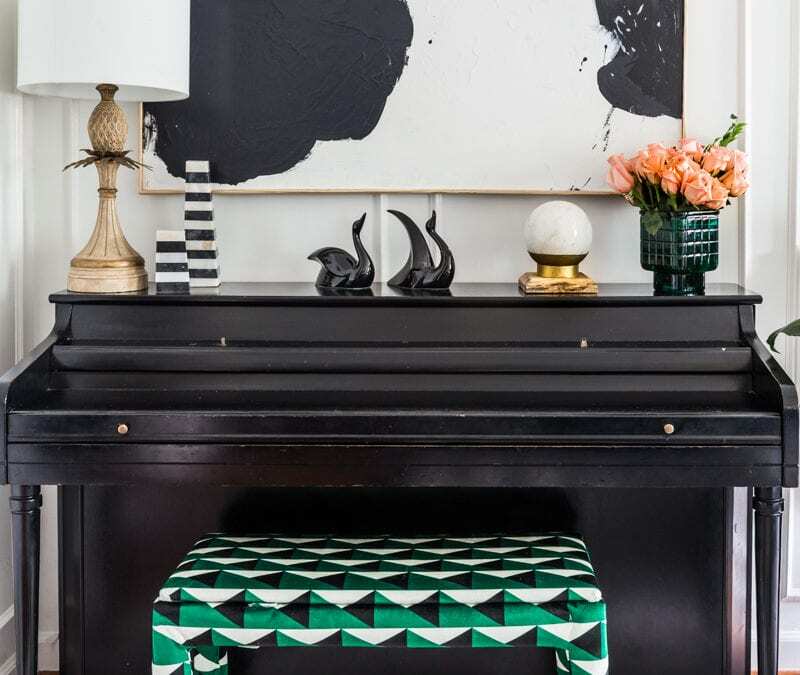 Let me show you how I completely customized and otherwise boring piano bench. 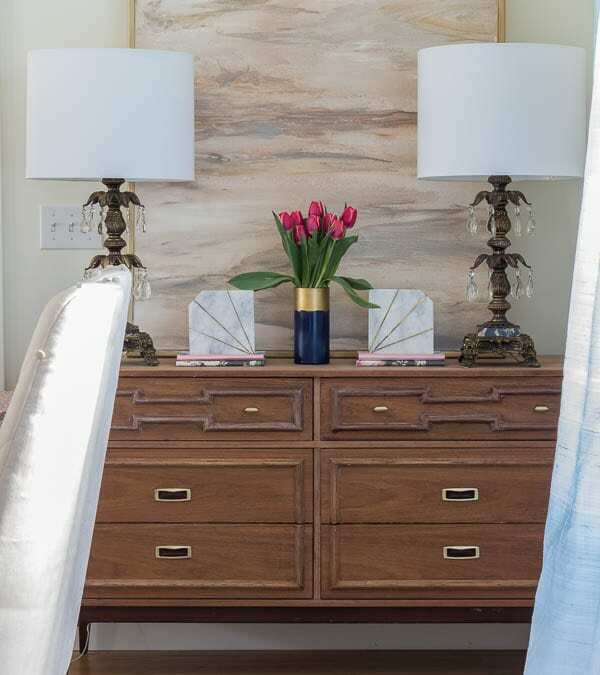 Find out why I’m almost speechless over the Milton and King Wallpaper Viva Tropicana Wallpaper I just installed in our dining room for the One Room Challenge! I’ve got a fever! 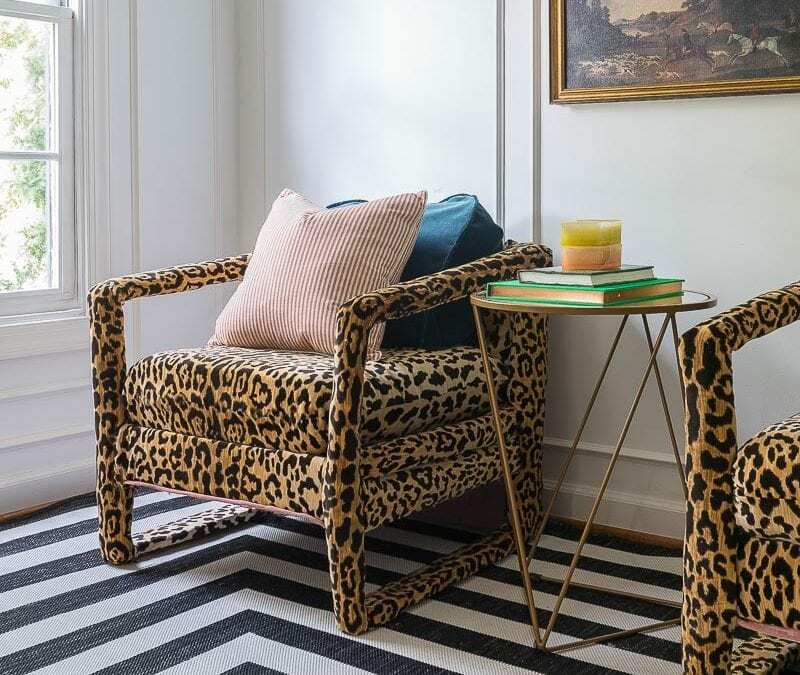 A fever for these leopard chairs. Check out the before and after on this cheeky little pair of Braemore Jamil Natural Leopard Print Velvet club chairs. 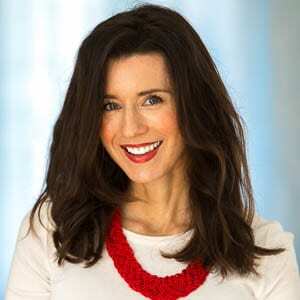 Want to win at Craigslist and Facebook Market Place? 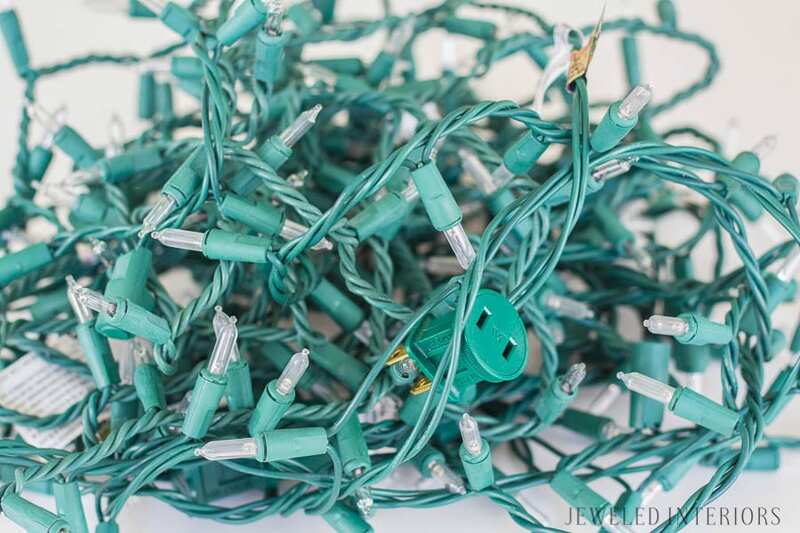 Follow these 9 tips and you will be surprised with what treasures you find. Is sanding the only thing holding you back from refinishing that piece of furniture? Wait no longer! 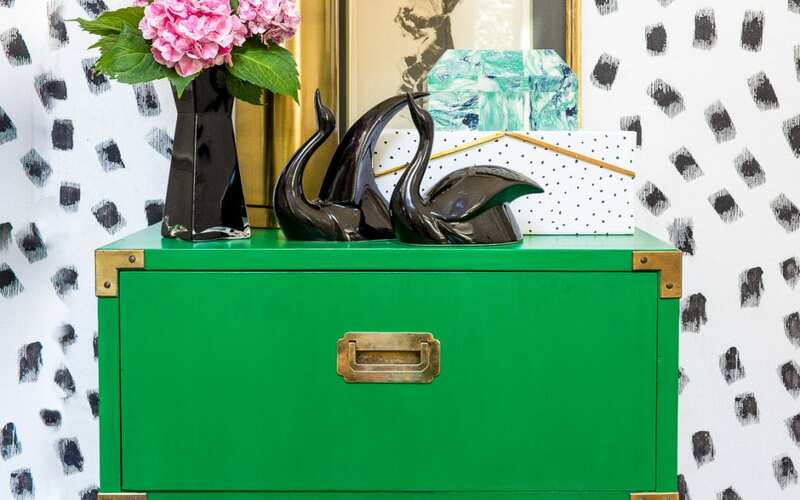 I loved using the Velvet Finishes paint product series to update this tired campaign dresser. 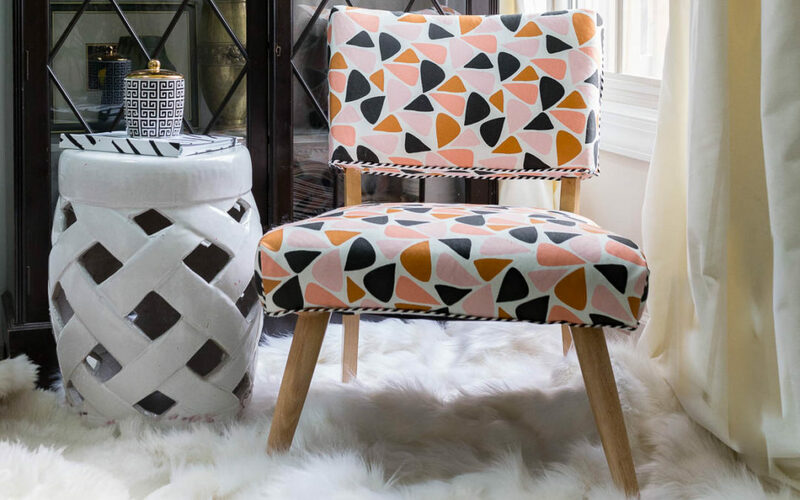 Have old upholstered chairs that are screaming out for a facelift? Check out how I gave these chairs a new look for under $10 with a few painting supplies…NO REUPHOLSTERING REQUIRED! 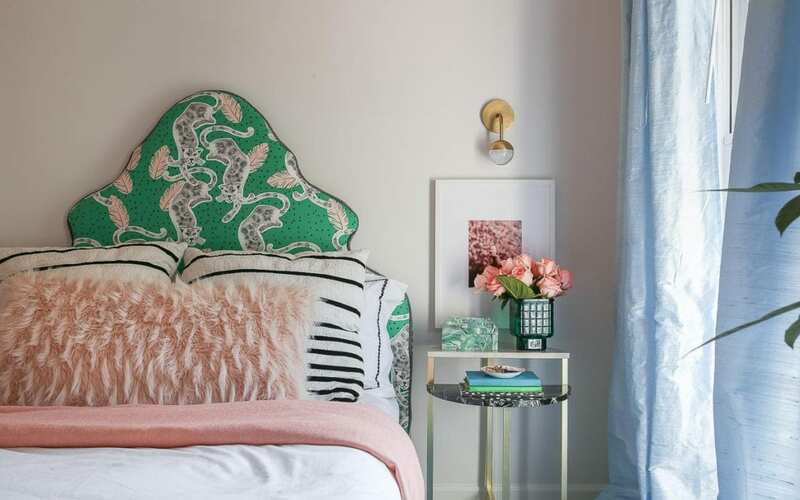 Go Bold or Go Home…I took some major risks with this hot pink snake skin wallpaper, but I think its going to look amazing in the end. Check out the progress shots so far. 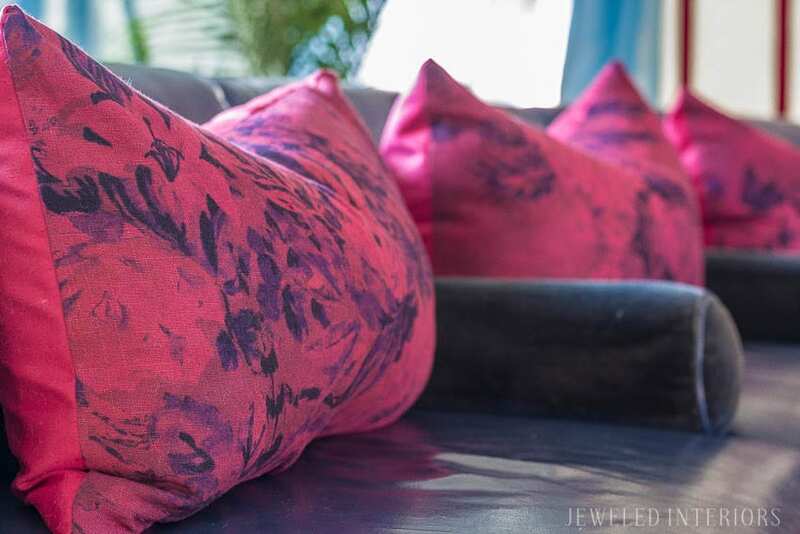 Find out how I used an inexpensive product and left-over fabric to update my living room for spring. 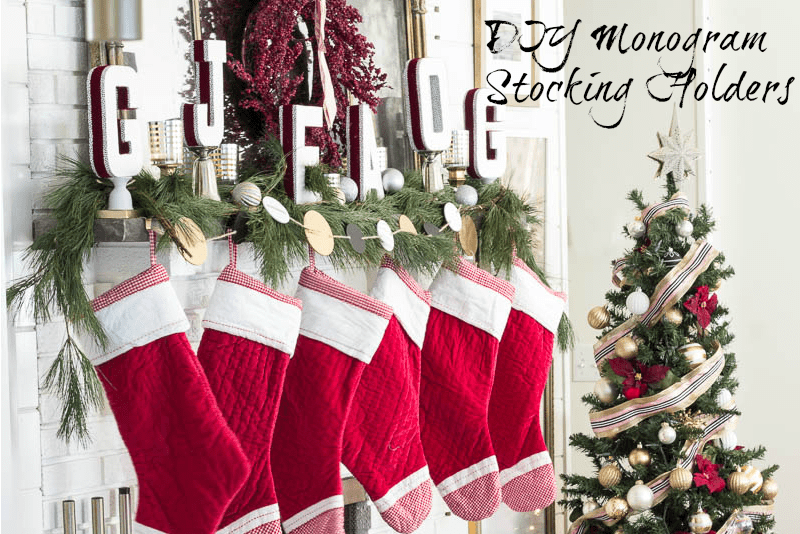 You have to see this cost saving idea! Hint: Rit Dye may have been involved. 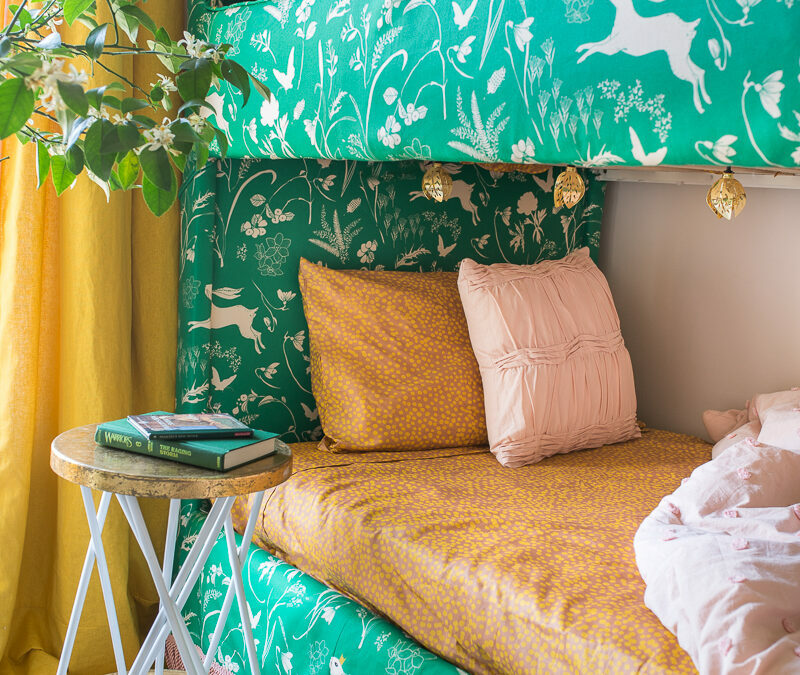 I needed a little whimsy in my girl’s tween Boho Chic inspired bedroom for the NYNR Challenge. 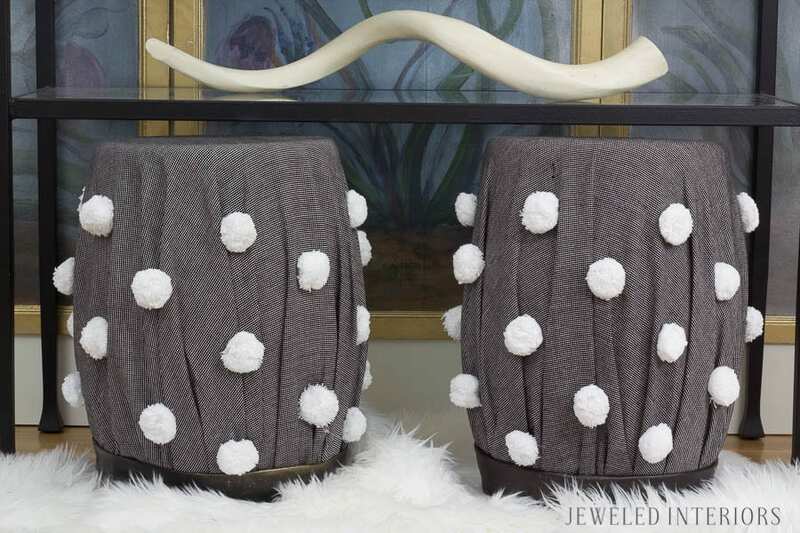 These fun little stools fit the bill perfectly. Best part of this super-easy project? The stools didn’t cost me a dime because I had all of the supplies on hand. See how I did it! 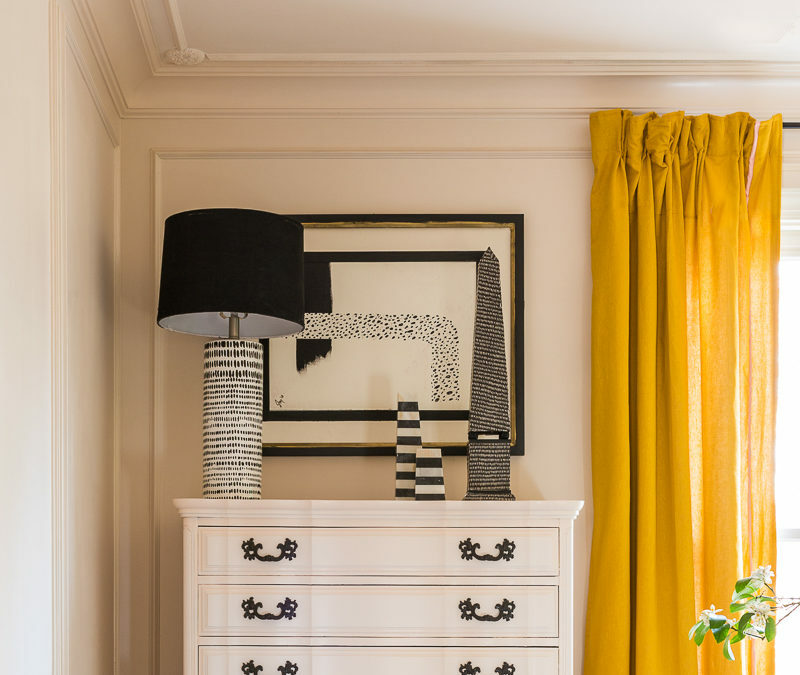 Matte Black: Find out why I’m completely smitten by this this new design trend…It isn’t for the reason you may think. 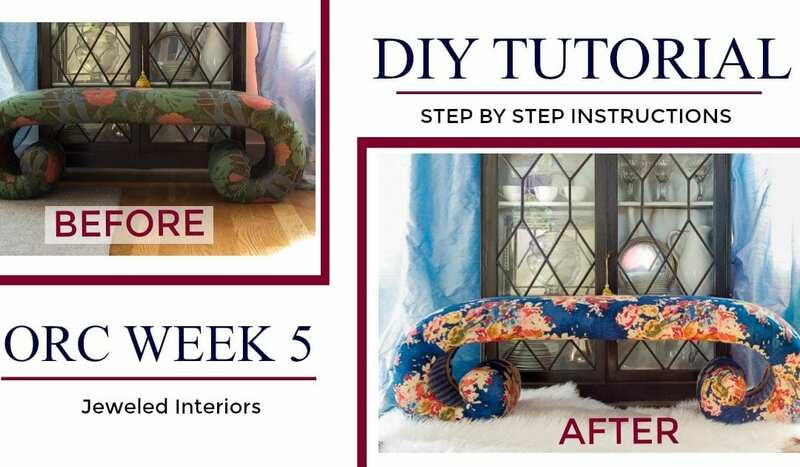 Follow this comprehensive step by step guide to stripping furniture with less time and less toxins than traditional furniture products. Looking for a stunning buffet table centerpiece? You’ve come to the right place! 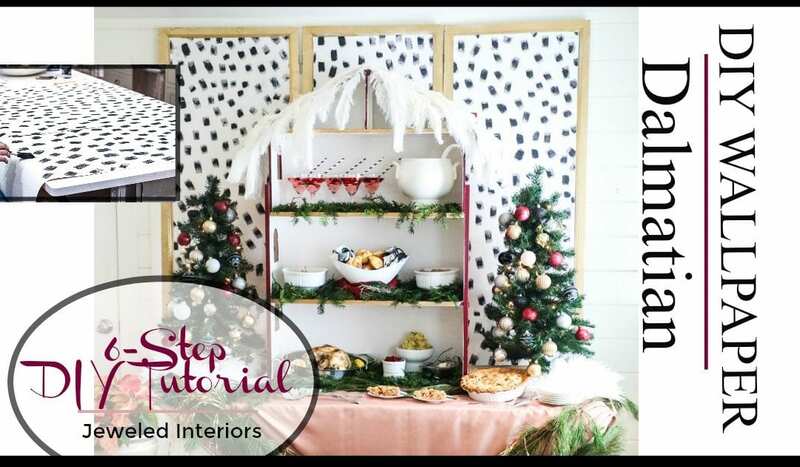 See how to transform your old Barbie house into a beautiful and functional addition to your next holiday party. Blushingly Romantic ORC BIG REVEAL// I DIY’ed My Entire Great Room for the Cost of a Sofa! 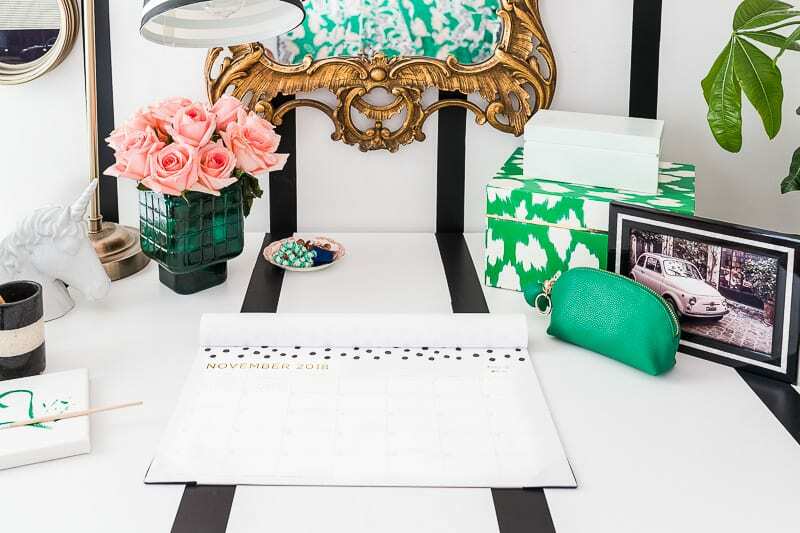 It’s Week seven of the One Room Challenge. 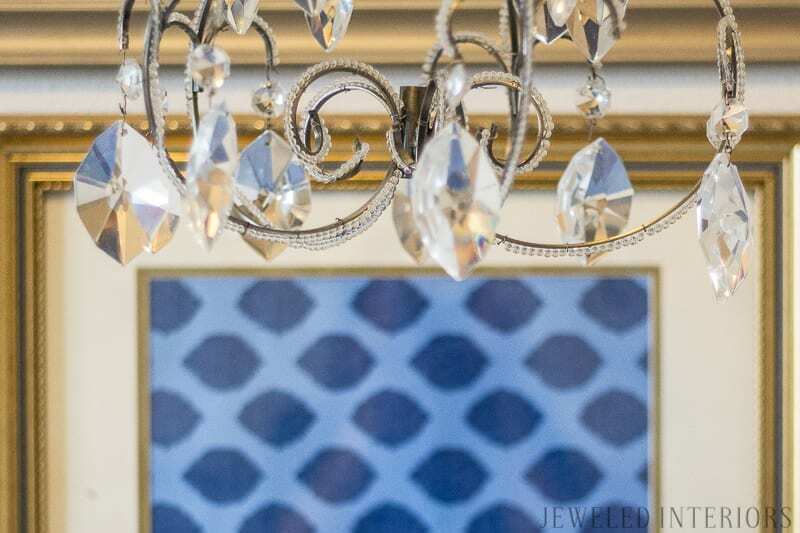 Check out Jewel’s big reveal of her blushingly romantic great-room makeover. 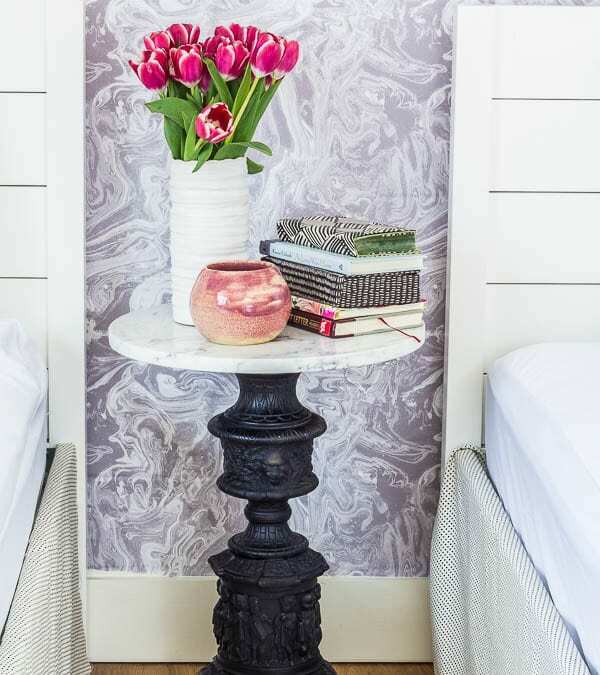 This space is chalked-full of inexpensive and renter friendly tips and tricks! 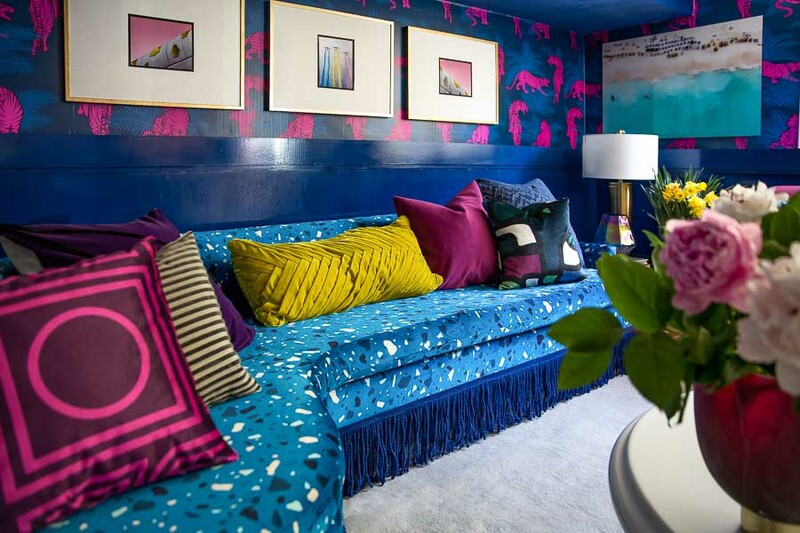 Want to update that old sofa? 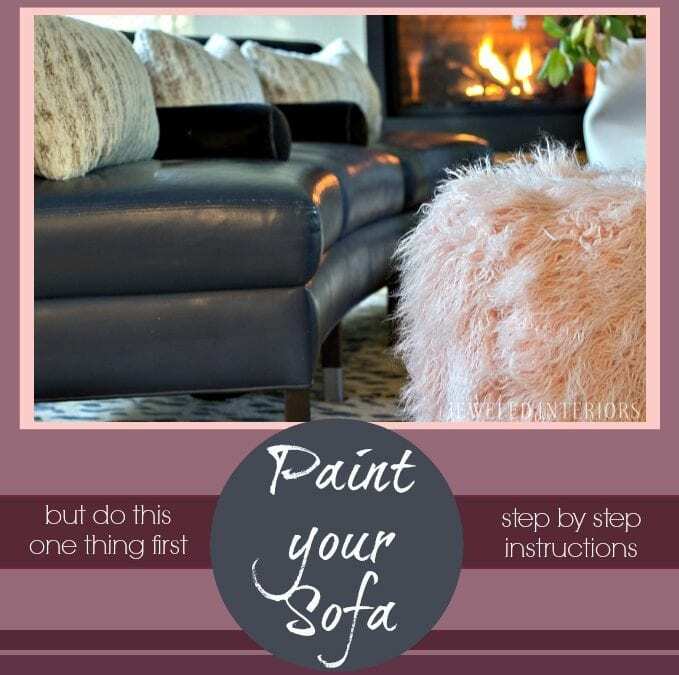 Try these new steps to chalk painting your leather couch. 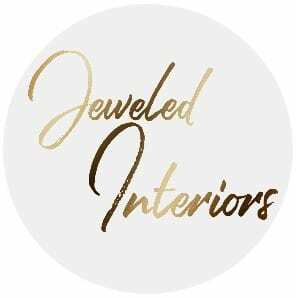 Jewel, from Jeweled Interiors, gives you a comprehensive, step by step plan to sofa greatness! 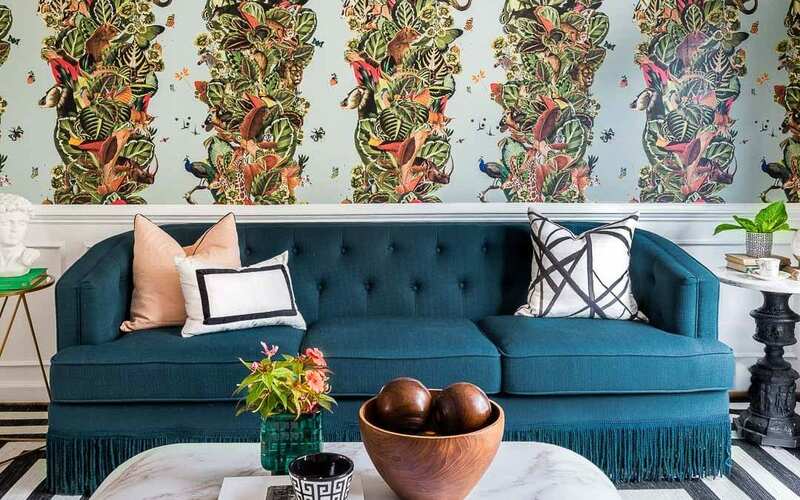 Looking for new DIY art ideas? 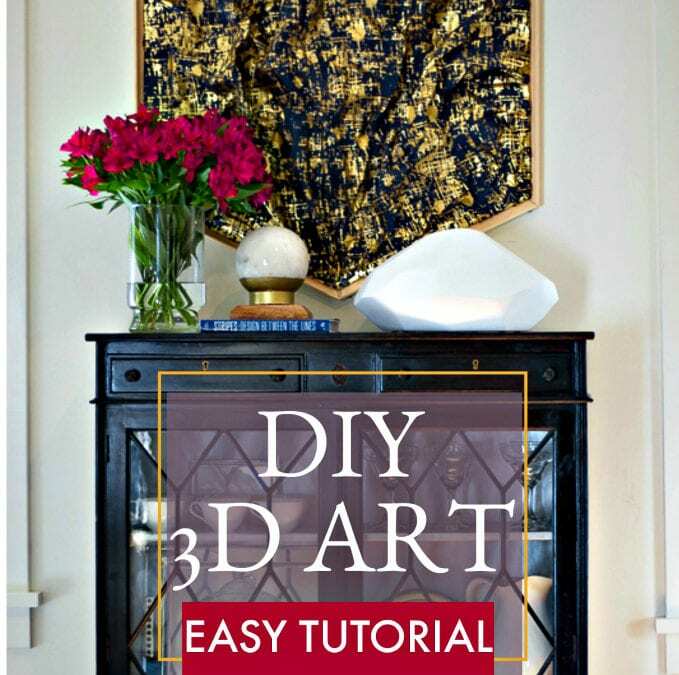 Check out the tutorial for this modern, 3D, hexagon art. Be inspired by these step by step instructions and colorful photos. DANG! Your Little Boy and Little Girl need to share a bedroom. HERE IS HOW TO DO IT! Dang! Not enough bedrooms in your home? Here are some tips for when your little boy and little girl need to share a room. DIY Tutorial! Two-Toned, Rustic, Mid-Century Modern Dresser Make-over: Make that old furniture AWESOME!!! Get inspired! TUTORIAL TIME! 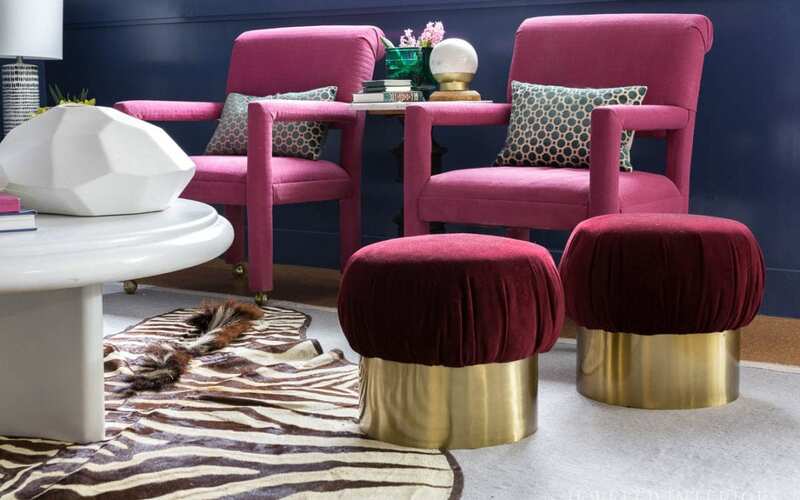 Take that old craigslist furniture and make it hip and modern again! 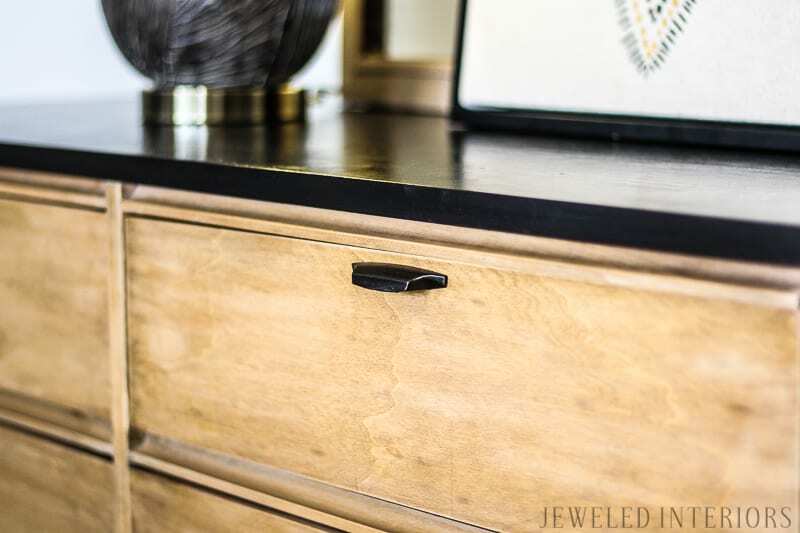 Check out how I took an UGLY piece of furniture and turned it into a two toned, rustic, mid-century modern dresser dream. 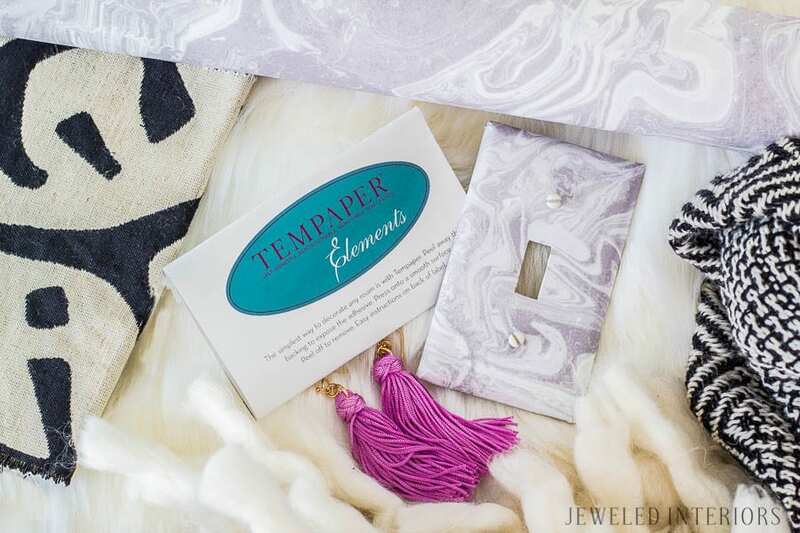 I will introduce you to some of my “go-to” favorite products and how to use them. Gotta love these before and after’s folks!